When will be Mercury next episode air date? Is Mercury renewed or cancelled? Where to countdown Mercury air dates? Is Mercury worth watching? 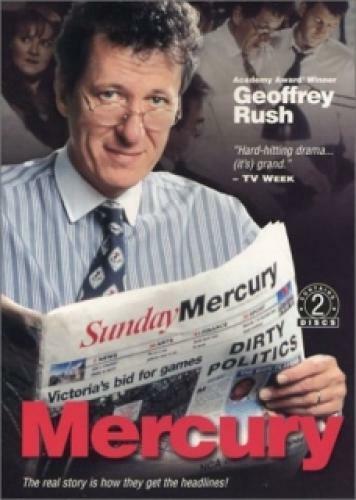 Mercury focuses on the inner workings of The Sunday Mercury, a weekly newspaper published in Melbourne that has a habit of causing uproar with the political powers-that-be (and the opposition) in modern Australia. Reporters go at a cut throat pace to hopefully get their story on the front page, and determinedly guard their "turf" while their boss cares less about the hurt feelings and bruised egos of the people around him as long as they put out top stories. EpisoDate.com is your TV show guide to Countdown Mercury Episode Air Dates and to stay in touch with Mercury next episode Air Date and your others favorite TV Shows. Add the shows you like to a "Watchlist" and let the site take it from there.